Palestinian Authority forces blocked afternoon Saturday a march, organized by the Popular Front for the Liberation of Palestine, against PA resumption of negotiations with Israel. Hundreds of PFLP supporters gathered near the Orthodox club in downtown Ramallah and marched toward the Muqata but were blocked at Irsal street by three human cordons of PA anti-riot forces. Participants in the march avoided contact with the police forces and chanted slogans against the Oslo accords, the anniversary of which fall after a few days, and called for allowing resistance to operate against occupation. MP Khaleda Jarrar, a PFLP politburo member, called on the PA to withdraw from negotiations with Israel, adding that the PA was not authorized to negotiate on behalf of the Palestinian people. She pointed out that the negotiations were progressing amidst escalation in the Israeli settlement drive and semi-daily attacks by Jewish settlers on Palestinian citizens and property. Hamas leader Jamal Al-Tawil, who participated among other leaders of national and Islamic forces in the march, said that the futile negotiations did not serve the Palestinian people. He said in a statement to PIC reporter that Hamas had declared its objection to those talks from the beginning. Tawil championed the setting up of a national strategy that would deal with all issues without allowing room for unilateral decisions in “crucial issues”. The Palestinian Center for Development and Media Freedoms (MADA) accused the PA forces of forcing detained journalists to reveal their emails and social profiles passwords during investigation. 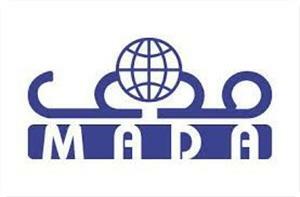 MADA monitored during the past 20 months attacks on journalists for expressing their opinion on Facebook, and some journalists reported to MADA that security services attempted to force them during investigation to reveal their emails and social profiles passwords. MADA said that its report sheds light on the reality of the internet in Palestine and the violations committed against journalists for expressing their opinions on the social networks. 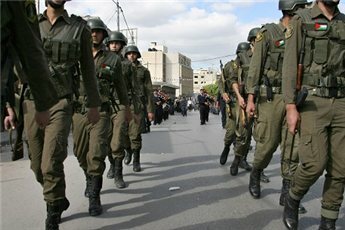 The violations against Facebook users and bloggers confirm that the PA authorities control and follow social networks in the West Bank and Gaza Strip, with increased monitoring in the last two years after the success of the revolutions in a number of Arab countries, especially Tunisia and Egypt, where youth played a primary role in coordinating and mobilizing the masses through social networks. MADA called on all relevant authorities in the West Bank and the Gaza Strip to stop Internet censorship, end the infringement on the right of journalists and citizens to express their views on social networks, stop violating their privacy and pressuring them to reveal their passwords, and to respect freedom of opinion and expression guaranteed in Article 19 of the Palestinian Basic Law and the Universal Declaration of Human Rights. The most significant results of MADA's study was that 67% of Palestinians who participated in answering the questionnaire and who use Facebook believed that Facebook contributes to the promotion of freedom of expression, as opposed to 33% who said it has no contribution. The content analysis of the Palestinian groups on Facebook also showed that there is no culture of accepting the opinion of others and that there is a verbal attack and intolerance during an exchange of views in these groups. The internal division captured the attention of many, which was dominated by the style of accusations, insults, defamation, treason, and blasphemy during a lot of discussions, this wasted the opportunity of those groups for a peaceful dialogue to discuss a lot of societal issues, and try to promote civil peace, the report said. PA security services in the West Bank arrested five Palestinians, including four on the charge of being Hamas-affiliated. In Tulkarem, Preventive Security Service re-arrested a student at Palestine Technical University- Kadoorie ours after General Intelligence Service has released him. The student Ahmed al-Fenni has been arrested for being a member of the student offshoot of Hamas, Islamic bloc, the movement said in a statement. Preventive Security Service has arrested Hussam al-Tamam in the same city after being beaten and word-insulted by officers, it added. In Hebron, Preventive Security Service arrested Annan Bakri, 21, after raiding his house, and Suleiman Abu Jarour, 23, a student at Polytechnic of Palestine University, from the town of Bani Na'im east of the city, after being summoned. The Security Service also summoned ex-prisoner Wajeeh Abu Hadid from Hebron, and ex-prisoner Mohannad Abu Mosa who was threatened with arrest if he does not head to the Intelligence office, according to the statement. Two days ago, the Intelligence Service summoned ex-prisoner, Islamic Jihad-affiliated Ibrahim al-Najjar from al-Fawwar camp, while the security forces arrested Bahir Saleh, a member of Party of Tahrir-Information Office in Qalqiliya on the same day. The Palestinian Authority (PA) security forces kidnapped four Palestinian citizens due to their affiliation with the Hamas Movement and another one from Hizb Attahrir (the liberation party). In Tulkarem, the PA preventive security forces kidnapped Ahmed Al-Fanni, a leading member of the Islamic student bloc at Palestine technical university, a few hours after the PA intelligence apparatus released him from its jail in the city. Eyewitnesses in Tulkarem also identified two PA officers who physically and verbally assaulted a young man named Husam Al-Tammam. They said that these two officers kept beating and verbally abusing Tammam after taking him prisoner until he fainted and was transferred to a military medical center before letting him go in bad shape. The PA security apparatuses also summoned two ex-detainees identified as Hussein Abu Hadid and Muhannad Mousa and threatened to put them in jail if they did not appear for interrogation. In Qalqiliya, the PA security forces kidnapped Baher Saleh, a senior member of Hizb Attahrir group. "As they were put under surveillance and then held by the security services, they turned out to have collaborated with Israel’s Mossad," he confirmed. Palestinian Authority security apparatuses arrested six citizens from the West Bank, and summoned three others for interrogation, on charges of their affiliation with the Hamas Movement. Meanwhile, the Authority courts postponed the release of four political detainees from Ramallah who have been held for 7 months despite the fact that the prosecution did not provide to the court any justification for their detention. Opening fire against Palestinian citizens by PA forces has caused high tensions among Palestinians in the West Bank especially after the martyrdom of Amjad Odeh from Nablus by PA forces' live bullet. On August 27, the PA forces stormed Askar refugee camp to arrest the citizen Ayman Abu Salem for alleged possession of weapons. The camp's youths confronted the PA forces that fired live bullets against the protesters, where the citizen Amjad Odeh was shot directly in his head. Meanwhile, the PA forces stormed Fara'a refugee camp north of Nablus on Sunday to arrest armed members of Fatah movement. However, local residents confronted the raiding forces where they threw stones and homemade explosive devices. In turn, the PA forces fired live bullets against the citizens till late hours, causing state of high tension among the citizens who stoned them and burned their vehicles similar to the clashes erupting with the Israeli forces. Local residents expressed their disappointment and anger against the PA arbitrary practices and the excessive use of force against protesters, saying that such policy aim at liquidating resistance in West Bank in favor of the occupation authorities. 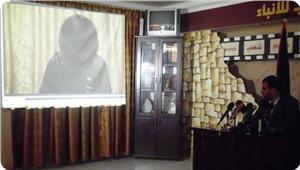 According to the confessions disclosed during the conference through a video shot for one of the suspects caught, the parties involved in the plot include Israeli intelligence services, and Intelligence Service and Preventive Security Service of the Palestinian Authority in Ramallah, along with Arab Intelligence Services. Shahwan revealed that one of the suspects –turned to be a collaborator- has been caught on his way to Gaza after meeting with Fatah-affiliated leaders of Security Services in an Arab country. Many of Fatah members who had ranked top positions in Security Services of the pre-2006-elections Palestinian government fled the Gaza Strip to Ramallah or Arab countries during the failed Fatah-run campaign to topple the elected Hamas-led government in 2007. The spokesman held Israel and its Palestinian and Arab tools, attempting to plot against Gaza, her people and resistance, fully responsible for all the consequences of their plotting. "Security Services in Gaza will withstand such despicable attempts, and will not allow anybody to endanger the security and safety of our people and his resistance", he said "what Israeli occupation failed to achieve by his rockets (wars) shall not be achieved by chaos,"
The EU Missions in Jerusalem and Ramallah condemn in a press release, the death sentence issued by a Gaza Military Court on 27 August. As in their most recent statement on 13 August, the EU Missions in Jerusalem and Ramallah recall the EU's firm opposition under all circumstances to the use of capital punishment. 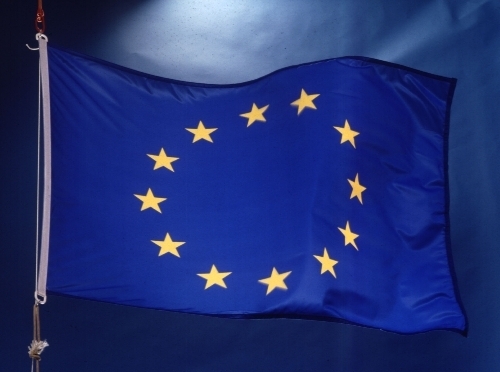 The EU considers that abolition of the death penalty contributes to the enhancement of human dignity and the progressive development of human rights. It considers capital punishment to be cruel and inhuman, failing to provide deterrence to criminal behaviour, and representing an unacceptable denial of human dignity and integrity. 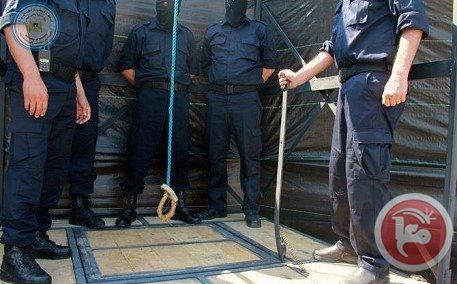 The de facto authorities in Gaza must refrain from carrying out any executions of prisoners and comply with the de facto moratorium on executions put in place by the Palestinian Authority, pending abolition of the death penalty in line with the global trend. 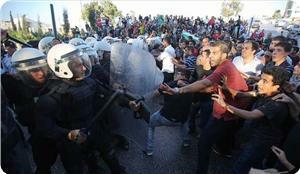 Tensions have re-prevailed in Fara’a refugee camp in Nablus as clashes erupted between the residents and PA forces. The protesters have closed, last night, the main street that links between the Fara’a refugee camp and Nablus city, and prevented individuals and vehicles from passing through the road. The protests came following the PA refusal to release political detainees from the camp as it was agreed upon before, local sources said. The sources pointed out that the agreement states the release of all detainees who have no relation with the events that took place recently in Fara’a camp, but the Public Prosecutor refused to do so. Meanwhile, the PA forces continued the arrest campaign against Hamas's leaders and supporters in the West Bank where 3 Palestinians were arrested and 3 others were summoned for being affiliated to Hamas. PA court has extended the arrest of a political prisoner from Nablus, while sources in Qalqilya and Bethlehem confirmed the escalation of torture against detainees in PA jails. A student from al-Khalil has continued his hunger strike behind PA bars. 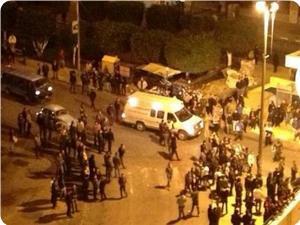 In Tulkarem, PA forces arrested three citizens including a student and two former political detainees. In Bethlehem, PA security forces stormed and searched the house of a leader in the Islamic bloc where they asked his family to hand himself over. He is a liberated prisoner. 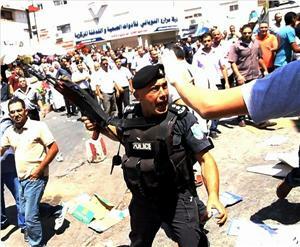 In Qalqilya, the Preventive Security launched a summons campaign against a number of citizens. While, reliable sources confirmed that some political detainees were subjected to severe torture in PA jails. The Arab Organization for Human Rights in Britain (AOHR) called on the European Union to exert pressure on the Palestinian Authority "to stop arbitrary arrests and torture." The Organization said in a letter sent to the head of the European Union and to European ministers and parliamentarians that "the continued support from the European Union cannot be acceptable while the occupation and the Authority security apparatuses continue to violate the fundamental rights of Palestinians in the occupied territories." It pointed to the campaign of arrests that started on August 14, during which the PA's apparatuses stormed houses to arrest citizens or kidnaped them from the streets or places of work without any legal justification, and held them in illegal detention centers where they are deprived of visits. It stressed that "the continued support by the European Union to the PA represents a flagrant violation of the European Convention on Human Rights, the international treaties and conventions and the values ​​and principles that are secured by the peoples of EU countries." The organization's letter came after the escalation of violations in the occupied territories by the Authority security apparatuses and the occupation forces and after the Palestinian Prime Minister announced that he will hold a European tour, starting next Sunday, to demand increasing the support offered from the EU. Arab Organization for Human Rights in UK (AOHR) sent a letter to senior EU bodies asking them to take urgent action to stop severe torture against Palestinians in Palestinian Authority (PA) prisons in the West Bank, AOHR reported. It noted that copies of the letter sent to President of European Parliament, EU foreign policy chief, EU foreign ministers and members of European Parliament. AOHR UK explained how savage the torture the Palestinian security services put against the Palestinian prisoners in the Jericho Prison. It described prisoners being tied for several hours a day like carcasses. As an urgent call for action, AOHR called for the EU officials to use the financial aid they offer to the PA. 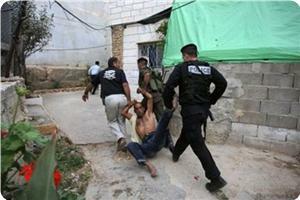 It asked them to put pressure on the PA to stop arbitrary arrests and torture and to respect human rights. In the letter to the EU officials, AOHR reported accounts of families of prisoners and some prisoners who were released from the PA prisons. They described the torture as very harsh and unbearable by humans. AOHR asserted that using the financial aid in putting pressure on the PA too much helps stopping torture and pushes PA to respect human rights. Young Palestinian men on Wednesday evening shut off the main road between Nablus and el-Fara refugee camp in the northern West Bank urging the Palestinian Authority to release a number of young men. 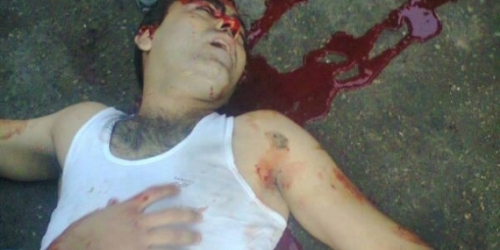 The men were detained during protests after the PA security services shot dead a young man in Askar refugee camp. Witnesses said that dozens of young men blocked off the road with rock piles and burning tires. Local committees and mediators, he said, were exerting every possible effort to get the detainees released. “Expel Muhammad Dahlan From the Emirates!” is a campaign slogan launched by Emirates which has been widely spread across social networks such as Twitter, to express the rejection by a wide range of people of the presence of Mohammad Dahlan in Abu Dhabi, and his work as an adviser to the Emir Sheikh Mohammed bin Rashid. 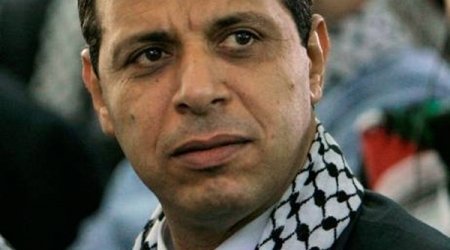 Dahlan is a traitor and dismissed leader from Fatah, founder of a death squad in the Gaza Strip which operated until 2006, and a spy for Israel. PA forces have escalated the arrest and summons campaign against cadres and supporters of Hamas in the West Bank during August, where more than 100 Palestinian youths affiliated to Hamas were arrested. Hamas Information office said that PA security services arrested 57 Palestinians affiliated to the movement in various West Bank cities. Twenty liberated prisoners, 15 University students, two journalists, three preachers, and four teachers were among the detainees. The PA forces have also summoned 57 Palestinian citizens, and extended the arrest of 4 political detainees in violation of the court's order to release them. Hamas movement pointed out that the occupation arrested four of the movement's leaders and supporters in the West Bank after being released from PA jails within the framework of security coordination between the PA and Israeli forces. 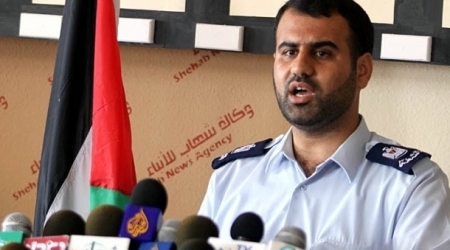 Five Palestinians affiliated to Hamas were arrested in Qalqilya. The PA forces have arrested a Palestinian student from Tubas after being severely beaten. In al-Khalil, PA Preventive services arrested a Palestinian citizen after being summoned, while a student at Al-Najah University in Nablus was arrested. 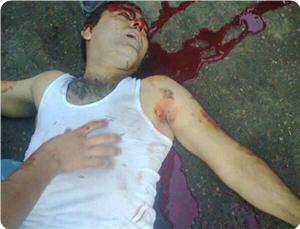 The student Osama Hatem Amr has refused to meet the summons by PA forces. His father and brother are detained in Israeli jails. Preventive security forces stormed a large number of villages and towns of the West Bank and handed summonses. PA Awqaf Ministry has forcibly prevented Sheikh Ahmad Tohme from attending Friday prayers because he prayed for Egyptian and Syrian martyrs. 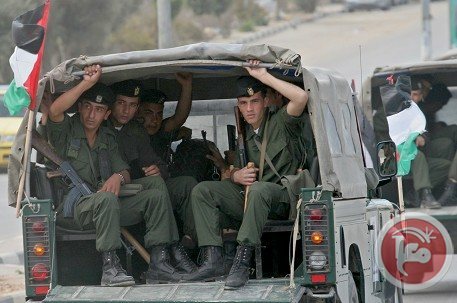 Members of the Palestinian Security Forces arrested on Monday at dawn [August 1 2103] several residents in the Al-Far’a Refugee camp, following clashes that took place between gunmen and the security forces as security officers tried to enter the camp to arrest some “wanted” residents. Security sources said that at least five person have been taken prisoner in the camp, while two persons have been injured when the gunmen hurled grenades and explosives at the security forces. The two wounded Palestinians, identified as Ibrahim Abu Qamar and Mohammad Soboh, have been moved to the Rafidia Hospital, in Nablus, suffering mild-to-moderate injuries. Palestinian security sources have reported that a number of unknown gunmen opened fire, on Monday at dawn, at Palestinian security officers near the Al-Far’a refugee camp, in the northern West Bank district of Jenin. The sources said dozens of security officers were trying to enter the camp in an attempt to arrest resident, but came under fire by a number of gunmen, and fired back at the source of fire. The gunmen also threw a number of grenades at the officers causing property damage but no injuries. The clashes came only two days after Palestinian security officers arrested Hasan At-Tayeh, believed to head an offshoot branch of the Fateh movement of President Mahmoud Abbas. 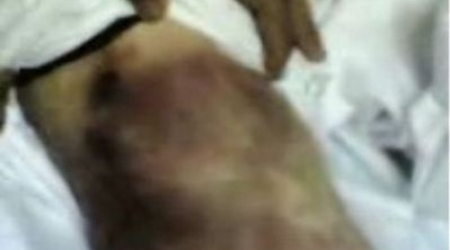 Security officers said that are trying to arrest another member of the Abu Tayeh family. Hamas security forces raided the offices of an Egyptian community center in Gaza City on Saturday. An Egyptian official, who wished to remain anonymous, told Ma'an that Hamas forces detained all those present at the center and confiscated documents and computers. The Egyptian community in Gaza released a statement several days ago expressing support for the Egyptian army's ouster of Islamist president Mohamed Mursi. The statement is likely the motive behind the raid, the Egyptian official said. "This is irresponsible and dangerous behavior escalating tension with Egypt," he added. The military, which overthrew Mursi after millions took to the streets on June 30 demanding that he resign, has come under mounting international pressure to swiftly install a civilian administration to oversee a rapid return to elected government. 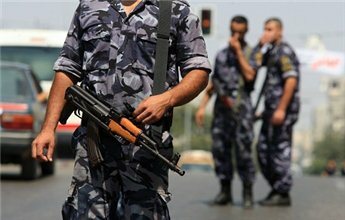 Palestinian Authority security forces detained four Hamas members in the West Bank, Hamas said Friday. PA forces detained four Hamas-affiliated teachers who work at a school in Yatta, south of Hebron, Hamas said in a statement. Forces from the Fatah-led PA also summoned several Hamas affiliates, including a former prisoner of Israel from Sair village, a young man from Ras Attiya village near Qalqiliya and the Imam of a mosque in Amatin village, Hamas said. Samer al-Masri, a Hamas leader at Birzeit University, is on his fifth day of hunger strike in a PA jail to protest his detention, according to Hamas. Meanwhile, a Hamas-affiliated university student from Palestine Polytechnic University has been jailed since Tuesday. He previously spent time in Israeli jails. 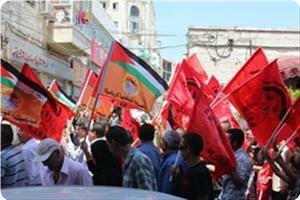 Fatah accuses Hamas of detaining its members and leaders in the Gaza Strip. Both parties have agreed to end political detentions in reconciliation agreements that have yet to be implemented. The Palestinian Authority (PA) security forces on Wednesday afternoon used excessive violence against peaceful protestors carrying symbolic coffins in procession to the headquarters of de facto president Mahmoud Abbas in Ramallah city. The protestors carried four empty coffins, representing three Palestinian young men killed on Tuesday by Israeli soldiers in Qalandiya refugee camp near Ramallah city and another one killed on Wednesday by the PA security forces in Askar refugee camp in Nablus. More than five protesting activists sustained different injuries when they were attacked with batons by PA policemen, the Palestinian information center (PIC) reporter in Ramallah said. The police formed human barricades of its members outside Abbas's headquarters and carried out a baton charge to disperse the protestors. During the march, the protestors broke all verbal taboos imposed by the PA and kept chanting different slogans against Abbas and his police junta. They also described Abbas as a traitor and his authority as an ally to the occupation. The march of coffins was led by Sheikh Khader Adnan, a public figure and ex-detainee in Israeli jails. The Palestinian Center for Human Rights (PCHR) calls upon the Attorney General's office to seriously investigate the death of a Palestinian by a live bullet to the head during an exchange of fire between members of the Palestinian Preventive Security Service (PSS) and 3 gunmen in 'Askar refugee camp, east of Nablus in the northern West Bank, which was followed by destruction of private and public property. According to investigations conducted by PCHR, at approximately 19:45 on Tuesday, 28 August 2013, a number of PSS officers traveling in a civilian vehicle arrived in 'Askar refugee camp, east of Nablus, to arrest a wanted person. Once the wanted person noticed the security officers on the main road in the camp, he and another two gunmen fired at them, and the security officers returned fire. During the exchange of fire, Amjad Falah 'Ouda, 40, a carpenter who was in his workshop at the main road, was killed by a live bullet to the head. Soon after, dozens of young men set fire to a guardroom of the Palestinian National Security Forces in the Industrial School near the camp, and a guardroom of the Palestinian police near Balata refugee camp. Other young men destroyed traffic lights, an ATM of Cairo-Amman Bank in Amman Street, and an ATM of Bank of Palestine at al-Ghawi intersection between 'Askar and Balata refugee camps. The protestors also set fire to the medical compound of the Palestinian security medical services in 'Askar refugee camp. In Rafidya Hospital, where 'Ouda's body was transferred, a number of young men from 'Askar refugee camp damaged a number of cars near the hospital and set fire to a security vehicle. They also threw stones at security officers. Moreover, dozens of young men closed the entrance of al-Far'a refugee camp, south of Tubas, on Tubas-Nablus road, and set fire to rubber tires in protest against 'Ouda's death. PCHR condemns 'Ouda's killing and calls upon the Attorney General's office to investigate the circumstances of his death, and subsequent attacks against private and public property and bring the perpetrators before justice. 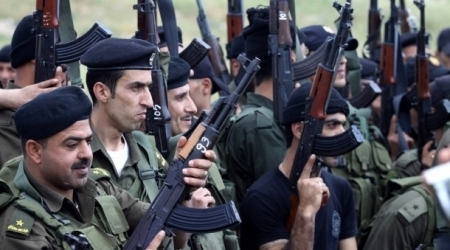 PCHR confirms its position rejecting any attacks against private and public property. Police on Tuesday seized a school bus transporting 12 passengers over its legal load. The bus, designed to hold 19 passengers, had 31 teachers and students in it, a police report said. The driver was arrested and passengers were taken to their destinations by another bus. 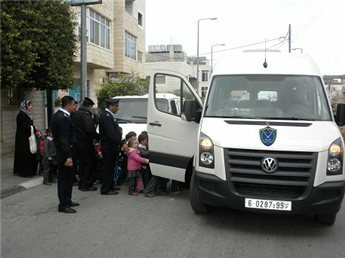 Bethlehem police commissioner called on parents to ensure that safety measures are taken for children traveling via public transportation. Another man was sentenced to death on criminal charges of killing three Palestinians in Khan Younis. "I am concerned about the process by which death sentences are imposed by military and civilian courts in the Gaza Strip," she said. "Serious concerns have also been raised about ill-treatment and torture during interrogations of persons later sentenced to death." 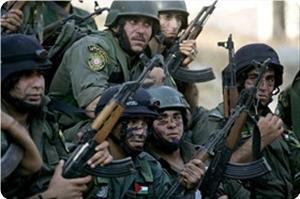 The PA forces have continued arrest and summon campaigns in West Bank provinces against Hamas supporters and members. Four members of Hamas movement have been arrested in Nablus and al-Khalil including a martyr’s son and summoned two others in al-Kahlil and Qalqilya including the son of a leader in Hamas movement after serving several years in Israeli and PA jails. In al-Khalil, the PA preventive security arrested the liberated prisoner Noor Shaker al-Atrash after being summoned to its headquarters. 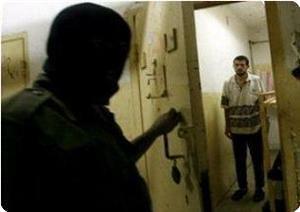 PA intelligence service summoned the liberated prisoner Mounir Qoukas, knowing that he spent ten years in Israeli jails. For its part, Islamic bloc confirmed that the student Mahmoud Ahmeidat, held in PA jails for two weeks, was transferred to hospital after serious health deterioration. 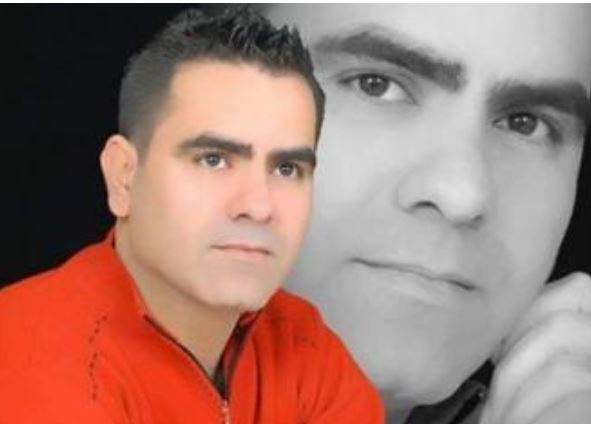 The PA intelligence continued to arrest the student at Birzeit University Samer Al-Masri for the fourth day in a row, knowing that he is a liberated prisoner and former political prisoner. 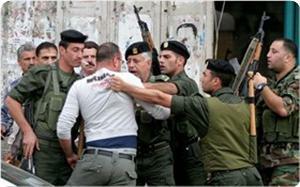 In Nablus, PA preventive service arrested a young man and extended the arrest of a liberated prisoner for 15 days. In a related context, the preventive service arrested the student Osama Halawa after storming his house and summoned Qusay Maraba from Qalqilya. Meanwhile, Wasfi Qubaha, a leader in Hamas movement, denounced Fatah-controlled PA plans to use force in undermining Hamas’s rule in Gaza. The former Minister of Prisoners Affairs Qubaha warned of PA and Fatah movement's plans to trigger war of attrition in Gaza Strip. Declaring the Gaza Strip as a rebel territory is a direct declaration of war against the Palestinian people, he said. In the same context, Qubaha said that PA repressive measures against Hamas supporters aim at pressuring the movement to respond to Fatah's conditions.